His friend and opponent George Bernard Shaw called him a "colossal genius". If we no longer consider G.K. Chesterton a colossal genius, it is not because we consider him any less brilliant now but because we do not consider him at all. If Chesterton were the colossal proponent of progressive liberal ideas, he would likely still be enshrined in the pantheon of early twentieth-century luminaries alongside his contemporaries Shaw and H.G. Wells. But the orthodox Christianity he championed, the Roman Catholic version in his latter life, no longer seems the kind of cause we consider worthy of the service of modern geniuses. His books and essays on the topic of religion—as well as on social issues, economics, literary criticism and humour—can still be read and appreciated today as brilliantly witty, insightful and sensible polemics. You can find most of them on the Internet, on sites devoted to Chesterton. Look especially for his two greatest Christian apologetics, Orthodoxy (1908) and The Everlasting Man (1925). But for most readers today he is remembered for a series of mystery stories he wrote to support the work he considered more important. Gilbert Keith Chesterton was born into a middle-class family in London. He dropped out of university College to work as a journalist. For the rest of his life most of his work appeared first in periodicals, including his own publication, G.K.'s Weekly. He was also a poet, his first book being a collection, Greybeards at Play (1900). This was followed by his first two of many literary biographies, Robert Browning (1903) and Charles Dickens (1906), and his first novel The Napoleon of Notting Hill (1904), a political satire which many readers consider his most entertaining work. The Man Who Was Thursday (1908) is widely considered his best fictional work. The novel is presented as a detective story but its surrealistic twists and unworldly characters turn it into a Christian allegory—a king of "metaphysical thriller", as it's been called. His first short story featuring the crime-solving priest, Father Brown, was "The Blue Cross", appearing in a magazine in 1910. With eleven other stories, it was reprinted in The Innocence of Father Brown (1911), which became a sensation. Critics and readers saw it as the greatest development of the mystery since Conan Doyle's Sherlock Holmes stories. Four other such collections of stories were published during Chesterton's life: The Wisdom of Father Brown (1914), The Incredulity of Father Brown (1926), The Secret of Father Brown (1927) and The Scandal of Father Brown (1935). 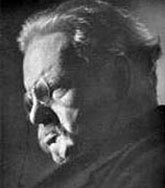 Chesterton produced over a hundred books during his lifetime, and many more anthologies of his works have been published since his death in 1936. Unfortunately in recent decades his works and ideas have disappeared from public discourse, leaving only an impression of stuffy reaction in the collective memory. Which is our loss, as his writings—like those of the yet popular C.S. Lewis and J.R.R. Tolkien—ventured beyond their religiously conservative underpinnings to offer insights into life in this world to provoke readers of even little or no faith. If it's only his mysteries and mysterious satire that survive widely to draw the occasional reader back into his heavier thoughts, then that's all to the good. And for those of us for whom the popular works are enough—well, that alone is a greater legacy than Chesterton himself probably gave himself credit for.